Need to know about agricultural risk coverage, price loss coverage, Farm Bill? 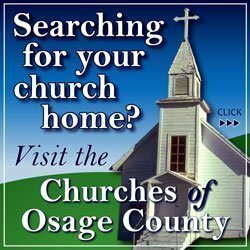 The Osage, Douglas, Franklin and Shawnee counties Farm Service Agency offices, in conjunction with Kansas State University Research and Extension, are holding an agricultural risk coverage (ARC) and price loss coverage (PLC) informational meeting at 2 p.m. Thursday, Nov. 13, at the Grace Community Church, Overbrook. Producers in attendance will be given an explanation of the new ARC and PLC programs, as well as several tools available for decision making prior to the farm program signup periods. All producers, operators and landowners, are invited and encouraged to attend this meeting. For more information about the ARC and PLC programs, along with signup deadlines, tools and fact sheets, visit www.fsa.usda.gov. 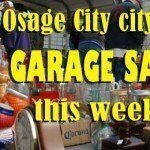 For other information, contact the Osage County Farm Service Agency at 785-828-4631, 115 W. 17th St., Lyndon. Grace Community Church is at 310 E. Eighth St., Overbrook. Update: Two more meetings have been planned to provide information about these Farm Bill topics. 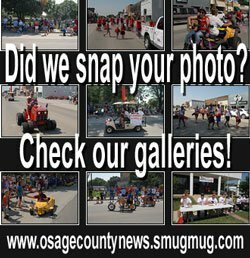 The meetings will be in Osage City at 2 p.m. and 7 p.m. Nov. 20, at the Osage City Community Building, 517 S. First St.